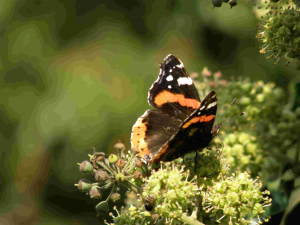 Observation - Red admiral - UK and Ireland. Description: This Butterfly has browny black wings with red bands and white spots. This Butterfly has browny black wings with red bands and white spots.